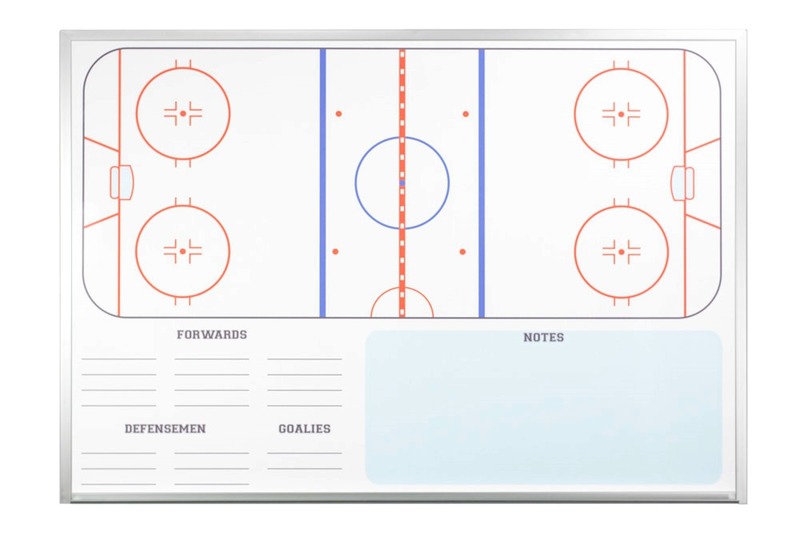 OptiMA Graphics Ice Hockey Dry Erase Boards. 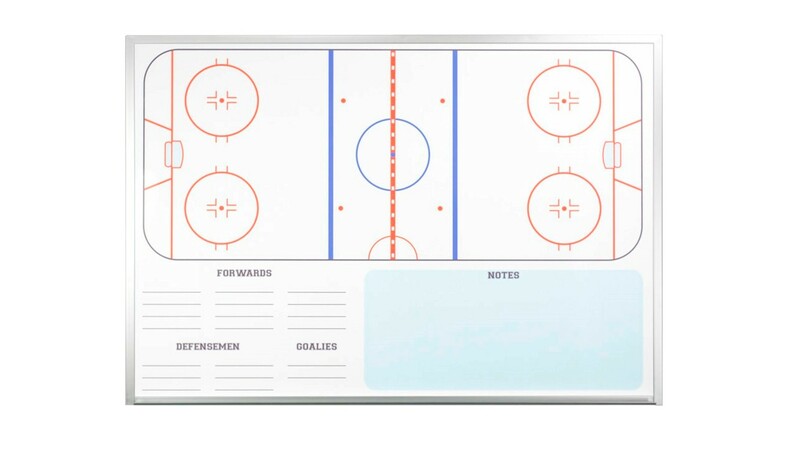 The perfect magnetic receptive dry erase board for ice hockey coaches and locker rooms. Now you can clearly explain the plays and the strategies and bring your team to victory. 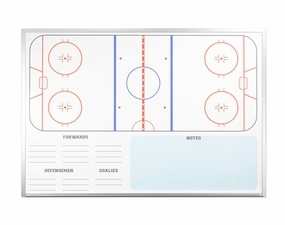 The magnetic hockey board features a new design that shows a full-sized ice hockey rink that is designed to scale. There is also a section to list your players and what position they'll be covering. There is also a convenient light blue notes section in the lower right hand side of the board. 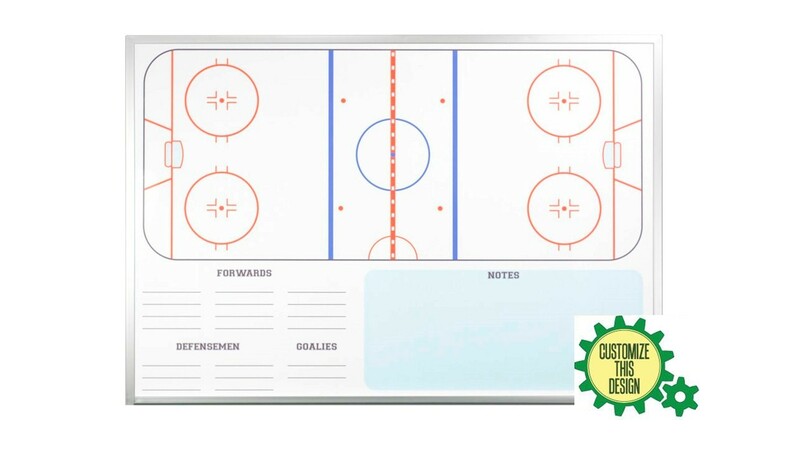 This dry erase hockey board is magnetic receptive so you can use a number of different magnetic accessories and magnets in conjunction with damp or dry erase markers. 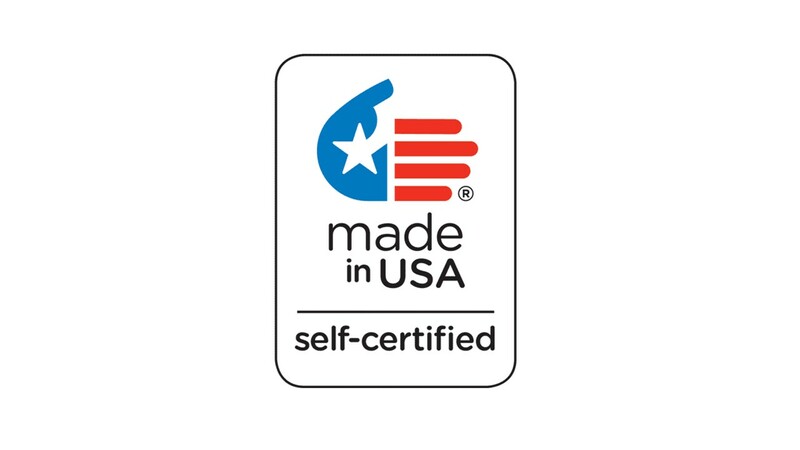 Each board is made in the U.S.A. and ships from our factory in Massachusetts. If there is something you want to change or add we can customize this design for you to fit whatever your needs may be. Wall Mounted Ice Hockey Board UPS* 25 lbs. 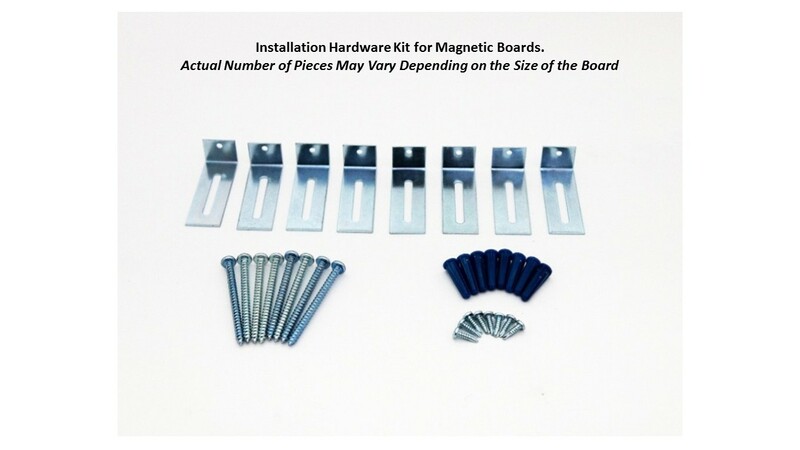 Magnetic receptive dry erase surface. Ships by UPS in about 5 working days. Also available in a more economical non-magnetic format. Always use a quality ery erase marker and wipe the board clean when you're finished for the day.